It can be claimed that there is no contradiction between the account of the written word-nature's dramatic eruption, and that of the oral Law, the dominance of silence. One could have followed the other. First there was the spectacle, then the silence. I would like to think however, that both settings represent ways by which the human soul experiences revelation. I prefer the understanding of the Oral Law. Some need the dramatic, the overwhelming, the overpowering to submit to a divine reality. The sensational has wide appeal. But, the Rabbis had the keenest of spiritual insights when they arrived at the understanding that the most fertile and receptive soil in which revelation can be planted and grow sturdily is the soil of silence. Words and spectacular natural phenomena, while striking and impressive, circumscribe the orbit of heavenly revelation.Once a word is spoken or recorded, its meaning takes on a specific definition, often inhibiting a wider and indeterminate range of possibilities. Likewise a passing natural phenomenon- stirring and majestic as it may be, its impact is often a fleeting one. A silent hush, by contrast, is a realm of infinite possibility, a space in the mind and heart in which God's voice can be heard with the greatest of clarity-neither words nor natural sound interfere with a communication that is utterly pure. Many of us are uncomfortable with silence; we grow restless, even anxious. So filled are we with sounds-from others, from sources of mechanical communication-TV, cell-phones, I-pods, computers etc. that silence is equated with lifelessness, with emptiness, with a sense of utter confusion. Perhaps it is this spiritual setting of silence, of emptiness, that is the most fertile for spiritual aliveness and fullness. The Rabbis remind us that the deepest revelations take place surrounded by the sounds of silence. As we celebrate and listen to the words of revelation-the reading of the Ten Commandments and the Book of Ruth-words of great beauty and compassion, let us sit in silence , allowing ourselves to encounter these words in the heart of our souls. 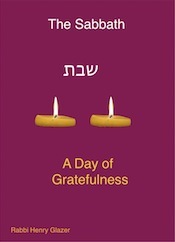 As we express our gratefulness for the sounds of Torah, so do we experience gratitude for the gift of silence. He seemed put upon; I was a little early. It was 9:00am. He stepped behind the counter and brought out the required form to be completed as part of the car's new insurance inspection. He was curt, unfriendly. Outside he snapped a few pictures of my car, and handed over a copy of the completed form. "Thank you so much," I said sincerely. I did appreciate his accommodation to my time schedule. "May Allah bless you!" A wide smile crossed his dark, Middle Eastern face. "Allah bless you too!" he replied good naturedly. "He should bless all of us, " I echoed back as I slipped back into the car. Another example of how simple it is to transform a mood of sullenness into a moment of good cheer and friendliness. Knowing that he was Moslem- I overheard him talking Arabic to his co-worker-I greeted him in the vocabulary of his own tradition and culture. And it worked! Imagine, I thought, if all over the world, we blessed one another in the language of the one being greeted. How many smiles would mushroom forth on the faces of so many. Interactions which were business-like and aloof could easily be changed into exchanges of personal warmth and greater intimacy. I am realistic enough to understand that the world would not be that significantly different, but who knows what could unfold if such everyday greetings were to pervade our planet and become the emotional vernacular of international discourse? We all have to begin somewhere-I am grateful for the opportunity to bless anyone, anywhere. A common metaphor by which the world is understood is that of a cup that is half- full. There are those who are inclined to see the cup as half full-the optimists, those who are grateful, and those who are focused on the cup as being half empty, the pessimists, the ones for whom gratitude is elusive. I wish to suggest that both views are incorrect. In fact the cup of life is not divided by a ratio of one- half to one- half. The truth is, most of life is positive and full. With exceptions ,of course, most people’s lives are more than tolerable; there is less pain than over-all satisfaction, less illness than health, less abject poverty than some minimal level of subsistence and survival. The cup of life is indeed closer to three-quarters full and one quarter empty! A melancholic streak ran through the philosophy of so many people regarded as wise and insightful. 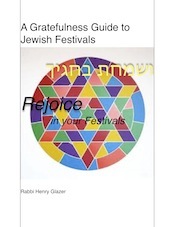 Fully conscious of this attitude, one which I confess I share, I nonetheless have grown to believe that Judaism, and spirituality in general, hold out to us the possibility of grasping life as a gift which is pregnant with goodness and awaits our engagement so as to bring this potential joy and fulfillment to ever greater fruition. I believe that the purpose of the ‘mitzvah’-the sacred deed-is to transform the ordinary into the wonder-ful, to elicit from the mundane the miraculous, to elevate the profane into the sacred. One can discover divinity in all things, and as such, the ‘empty’ part of the cup is the husk, the outer shell, the minor dimension of life, while the essence, the sacred kernel, represents the major part; thus the totality of all of existence can be viewed as mostly a reality of fullness. Disasters, wars, famines, floods, illness, are all tragedies that are part and parcel of the totality of the human experience. But they occur, thankfully, only intermittently. Otherwise , life could not be sustained nor could we enjoy survival and continuity. Without question, there is too much sorrow and suffering in the world. We are duty bound to do everything we can to alleviate that pain. Perhaps the prism of gratefulness can allow us to see more clearly a path to greater fullness for all, so that the cup of life’s bounty can be shared by all. It's a dreary Monday morning; my students-first to fourth graders- were sleepy, listless and not very engaged . As part of my teaching commitment, I ask them to record in writing and/or in picture form what they are grateful for. One boy, who is usually alert and lively, claimed that he could not think of anything for which he was grateful, except the game of hockey. "That's all I really like." As a Canadian by birth I was quite sympathetic. "Do you play hockey, "I asked. "No,my parents won't let me-there's too much checking!" After a short pause he added,"But I love watching ." "What would happen if you were blind? "I asked. He looked up and understood. 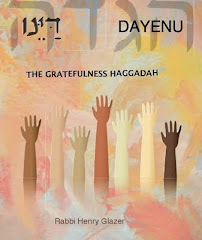 His gratefulness journal read-"I am grateful for my eyes." He handed his paper to me, a big smile on his face. 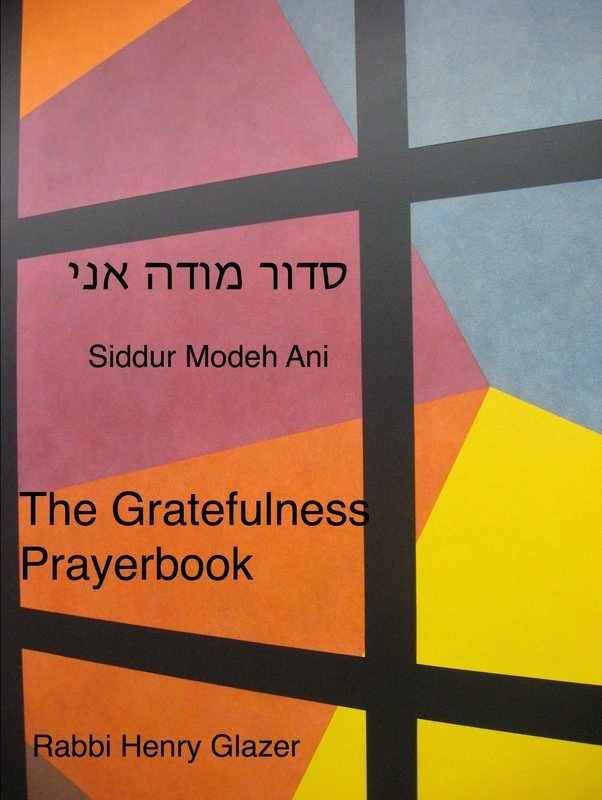 According to Jewish tradition, the first words uttered in the morning upon awakening are-"Modeh Ani"- I thank You. 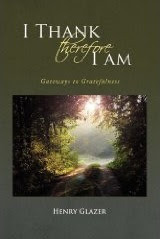 The starting point of this utterance of gratitude is oneself-"Ani"-"I." So few of us recognize with inner awareness the gift of who and what we are and what we have in the form of body, mind and soul. We seemed to look outside of ourselves, and overlook the miracles of being able to see, hear, feel, think, breath, taste, touch etc. The simple morning prayer attempts to raise this consciousness so that we greet each day ever more grateful and generous. I read a letter to the editor recently from a prominent rabbi about his distaste and criticism of "spirituality" because he understood meditation and self reflection as acts of narcissism and selfishness. Little did he understand that prayer-meditation, self-reflection-is an indispensable forerunner to our concern for others and our ethical responses on behalf of those in need. "If I am not for myself"-If I cannot recognize my self and the world as a gift for which to be grateful, how then can I "be for others?" Gratefulness without generosity is selfishness; giving without gratefulness is an important act, but mechanical and devoid of inner intention and spiritual expansiveness that can heighten our ability to relate to the world with greater compassion and generosity. I hope that the next time this eight-year old is watching a hockey game, he will feel, if only for a moment, a sense of gratitude for his eyes and see them as his greater gift.